Recently I have seen, and been apart of some online debate over the filming of outdoor television programs on some of the rivers in our area, rivers that we work and guide on year round. The majority of those in opposition seem to have one concern in common, it’s that television will bring more fishing pressure, that it’s exposing to much info to the world and now we will be forced to fight off the crowds and all will be lost. Honestly, much of the argument has been that the “regular joe” will now flock to the river and exploit it somehow, I have even seen a reference to the Great Plains Buffalo as an adjective to describe the issue, it’s crazy! 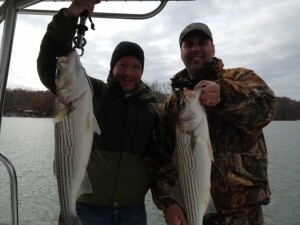 Is every weekend angler a poacher? No. 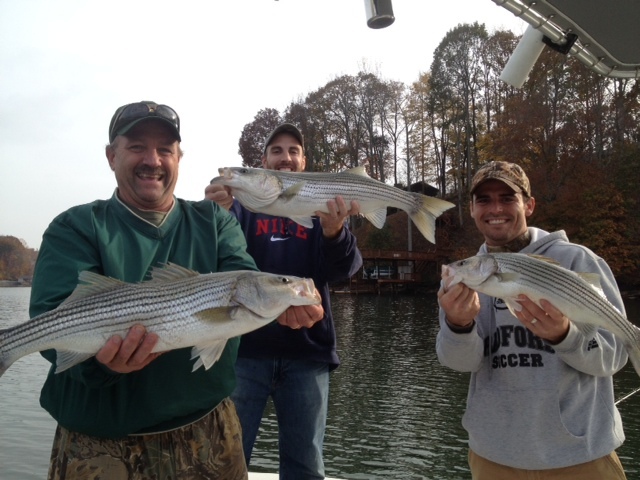 Do all those anglers practice safe handling and proper care of the fish? No. Do some people break the law? Yes. Do guides or those who feel superior in their fishing prowess have jurisdiction on these waters? Hands down the answer is no, and here’s why. (At least on the rivers and lakes in Virginia where we operate.) These are public waters, and the big game fish have been stocked by the VDGIF, which is funded nearly 100% by sales of licenses and fines for violations, so that weekend angler and all the other guys, gals, and whoever else on the water has paid for their right to be there, just like me. Matter of fact, if you want to get down to the brass tacks, the contribution of these average folks facilitate me being able to make a living on these public waterways. The other big factor is simple, if there was not adequate interest in the fishery then the VDGIF dosen’t put up the money to support these programs, without that money, no fish. Increased interest breeds increased awareness and education, it takes time to educate the mass public on the benefit to a diverse fishery with predator and prey in mind. As a full time guide it is my duty to be a steward of the waterways where I do business, and that means obeying the laws, educating my clients to the importance of safe handling , and practicing sound catch and release where applicable. As a business owner it’s my duty to pay my bills, and keep the lights on so to speak, and I will employ various methods of doing that, websites, social media, television, and others, isn’t that the point? Doesn’t every fishing/ fly fishing company in America advertise and promote their product or service? When done in good taste television and other visual mediums are a powerful way to promote good stewardship, and a powerful way to bring tourism dollars into rural areas and small business throughout the region. As for me and my humble guide service in the Blue Ridge Mountains, we will continue to grow and promote our business, in the most ethical and transparent fashion we can, all the while not losing focus on preserving the fishery, and not putting ourselves on a pedestal as guides. The fishery exists for all of us, and because of all of us. 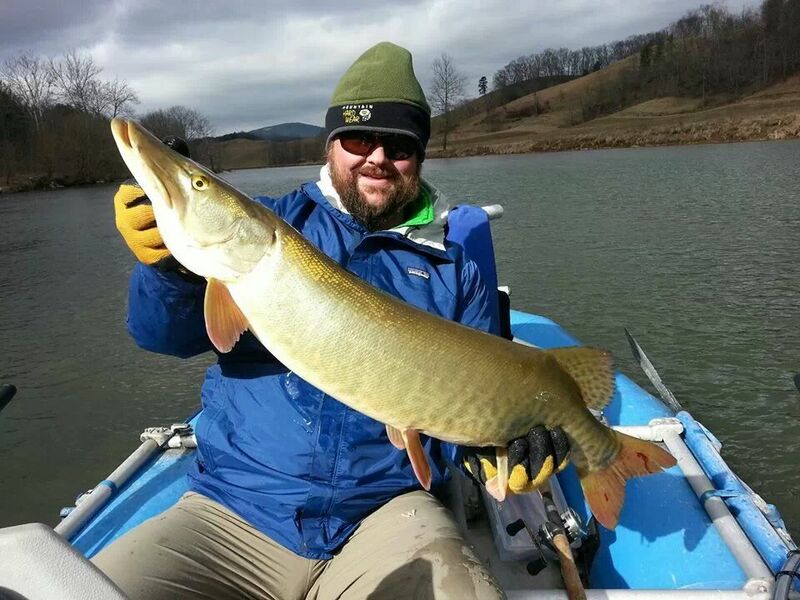 The Blue Ridge is home to a vibrant musky fishery, and we obviously put a ton of emphasis on that throughout the season, but there is a boat load of action to be had between the dams! Smith Mountain Lake has played host to a booming striper fishery since the late seventies, a virtual playground for a 20 something foot center console or skiff, with 530+ miles of shoreline you can literally get lost in search of the pull. The product of two rivers and dozens of smaller tributaries, Smith offers diverse habitat and ample depth to support a booming bait population which in turn, well you know. Striper fishing techniques can be as diverse as the underwater landscape where we target them, you have the tried and true method of live bait fishing , rigged in a variety of ways, vertical jigging on huge schools and busting birds( which we also do with flies, hmmmmm, is what you’re probally thinking), topwater busting mayhem when anything with a hook is on tap, just about anything you want. Roll all that up with a couple real fishy Captains, now you’re talking!